Many local residents don't realize just how much southeastern Pennsylvania is emerging as a major force in the nation’s wine industry. In fact, according to a release from Visit Philly, Pennsylvania is home to more than 150 wineries. What's more, it's said that the terroir of southeast Pennsylvania is not unlike that of the Bordeaux Region in France. The natural limestone and gravel content within the soil content is excellent for growing grapes, while warmer soil (thanks to hilly terrain, ample bodies of water, and a temperate climate) translates into a longer growing season. So is there a varietal signature to our region? No, but that doesn't mean you can't have fun finding your own favorite! You can sip and swish Chardonnays, Pinot Grigios, Pinot Noirs and Cabernets within the two wine trails of Philadelphia’s countryside: the Brandywine Valley Wine Trail, which comprises six Chester County wineries, and the Bucks County Wine Trail, which has been in existence for more than a decade and boasts nine locally owned wineries. Our advice? Pack a suitcase and make your tour of wine country into a weekend getaway. The wineries along the Brandywine Valley Wine Trail are geographically spread out, which allows a dedicated visitor to tour a large swath of this famous region. The wineries of the Brandywine Valley Wine Trail are Black Walnut Winery, Borderland Vineyard, Kreutz Creek Vineyard, Paradocx Vineyard and Penns Woods Winery. An entity for longer than a decade, the Bucks County Wine Trail comprises independently owned wineries: Buckingham Valley Vineyards & Winery, Crossing Vineyards and Winery, New Hope Winery, Peace Valley Winery, Rose Bank Winery, Rushland Ridge Vineyard & Winery, Sand Castle Winery, Unami Ridge Winery and Wycombe Vineyards. 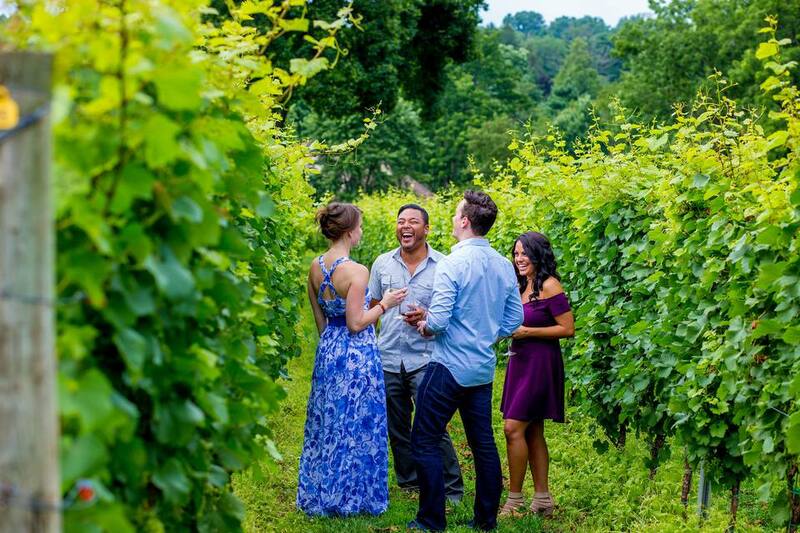 Similar to the wineries of the Brandywine Valley Wine Trail, many of these wineries offer wine tastings that are open to the general public, plus a robust schedule of seasonal events. When Are Philadelphia's Biggest Pride Events?